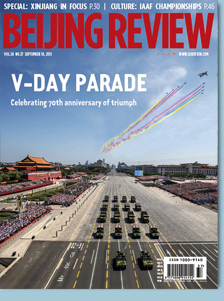 Beijing's parade was considered as military muscle show for many international observers. The military display in parade remarkably surprised some of them. One comment in Australian Financial Review describes it as "overt militarism". Even the Associated Press' report on parade gave much inks on China's might, but less concern on President Xi' troop cut announcement. Paul Kennedy, a Yale historian, once concluded in his 'The Rise and Fall of Great Powers', that overstretch is the poison for powers. The Chinese old saying, "a warlike state, however big it may be, will eventually perish" has the same logic. In this sense, the troop cut is an important evidence for "the new type of major country relations" proposed by President Xi. We do not want to repeat the great historical tragedy. September's parade is the first time for the Chinese to commemorate their contribution to the World Anti-Fascist War in the Second World War. Thus, it is not to oppose contemporary Japan, but its militarism in the Second World War or "the Fifteen War" in some Japanese scholars' opinion. We, the Chinese, cannot not forget the Japanese aggression in our history, just as how the United States cannot forget the "9.11" terrorist attack. The parade expresses the survival of a nation and justice for human beings. China does emphasize that the victory is a joint effort which China did not achieve single-handedly. As Xi pointed out "the Chinese people will always remember what the people of other countries did for the victory of their War of Resistance." Under the support of other countries, Chinese stands victorious. That is a very important experience for the Chinese. The success of China's reforms has been strengthened through its embracement of globalization. Hence, in the future, China cannot achieve success if it shuns the rest of the world. The problem for some Western media is that they cannot remember this simple fact. We should not forget that China also contributes greatly to the victory of the World War II. Some observers consider the parade is only to commemorate the defeat of Japan. That's not true. It is not a war between China and Japan, but the war between invaders and resisters worldwide. 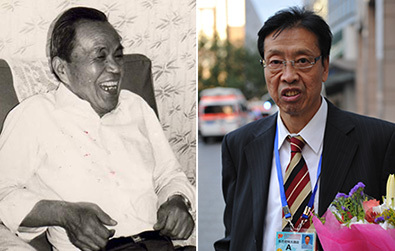 The Chinese hope to remind the simple truth that justice and peace will last forever. Force is not an appropriate tool to resolve the disputes among countries.